The impact on human health by atmospheric particles was the recognized driving force for the extension of EMEP framework to include particulate matter (PM) in 1999. The preliminary assessment by WHO-EMEP (1999) specifically highlighted that PM from long range transport contribute significantly to these effects. The later review of evidence on health aspects of particulate matter - REVIHAAP (WHO, 2013) – based observed at levels commonly present in Europe, indicates that the effects in some cases occur at air pollution concentrations lower than those serving to establish the previous WHO air quality guidelines, last updated in 2005. Epidemiological and toxicological studies based of PM 2.5 and PM 10 mass concentrations comprises show varying types and degrees of health effects, suggesting a role for both the chemical composition (black carbon, secondary organic and secondary inorganic aerosols) and physical properties (size, particle number and surface area). Furthermore, the new evidence suggests that short-term exposures to coarse particles (including crustal material) are associated with adverse respiratory and cardiovascular effects on health, including premature mortality; and toxicological studies report that coarse particles can be as toxic as PM 2.5 on a mass basis (though data from clinical studies are scarce). A variety of air pollution anthropogenic sources have been associated with different types of health effects (e.g. carbonaceous particles from traffic, traffic-generated dust; residential and industrial combustion, metal industries, shipping etc. ), but also desert dust episodes have been linked with cardiovascular hospital admissions and mortality in a number of recent epidemiological studies. In addition to health effects, aerosols are also short-lived climate pollutants, strongly contributing to climate change. 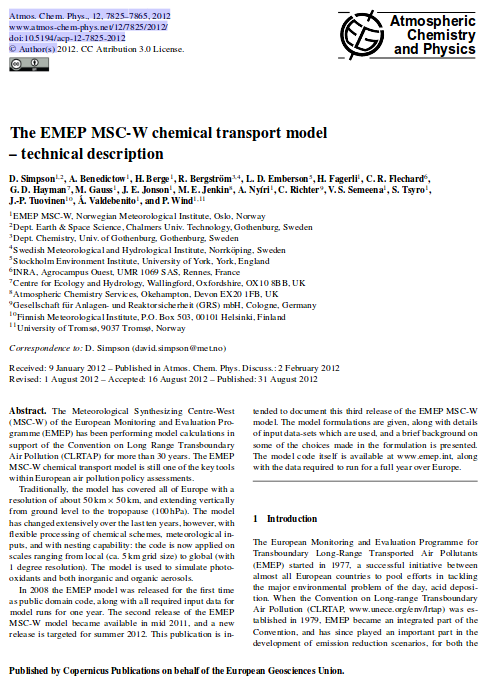 The EMEP MSC-W model accounts for particulate pollution from anthropogenic sources based on officially submitted to EMEP emissions of primary PM and gaseous precursors and that of natural origin (i.e. from sea spray, windblown dust, biogenic VOCs, forest fires). The model provides annual assessments of European background levels of PM 10 and PM 2.5 and exceedances of EU critical levels and WHO Air Quality Guidelines, as well as concentrations of the individual aerosol components (SO42-, NO3- and NH4+, organic and elemental carbon, sea salt and mineral dust). 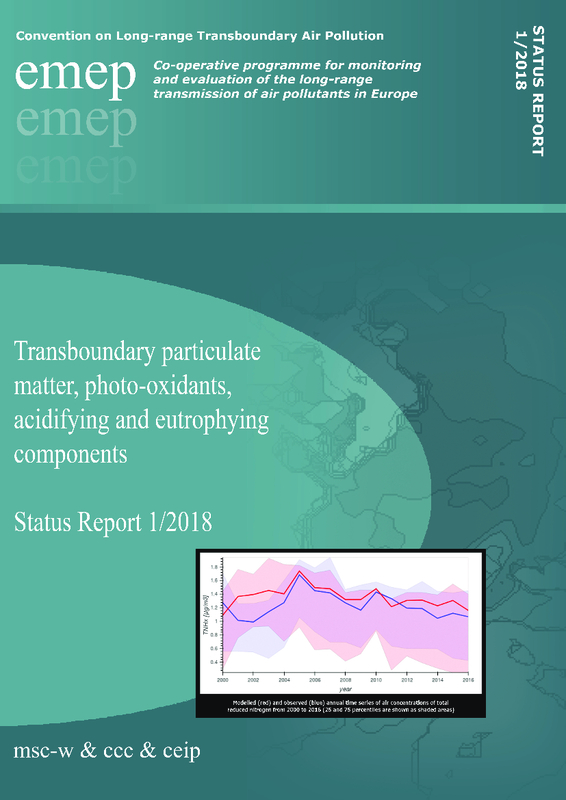 Model results for PM 10 and PM 2.5 and their chemical composition are regularly evaluated against observations from EMEP monitoring and intensive measurement periods, and lately also with observations from European Environment Agency’s Air Quality e-Reporting data base. 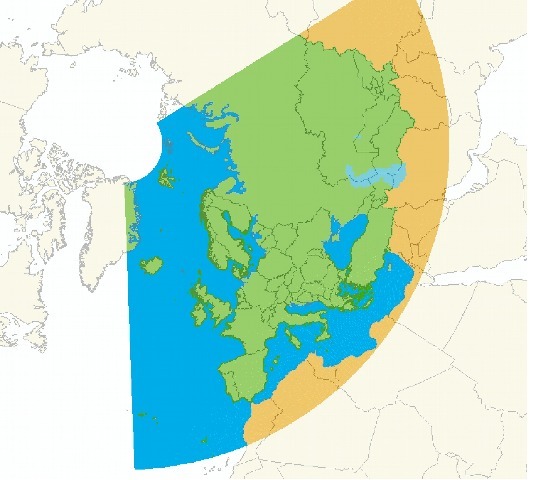 Source-receptor matrices (SRMs) are annually calculated for PM 2.5 and PM 10 for EMEP countries and sea areas. Recently, the countries have started submitting emissions of Black Carbon (BC), so that SRMs are also produced for fine and coarse elemental carbon. 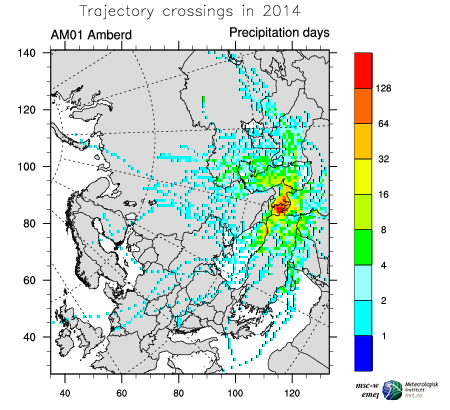 Finally, the EMEP MSC-W model calculates aerosol extinction and aerosol optical depth (AOD) and allows deriving aerosol backscatter and absorption, which facilitates model evaluation with remote sensing measurements, e.g. AOD observations from AERONET sun- photometers and satellites and aerosol extinction profiles from EARLINET lidars and satellites.